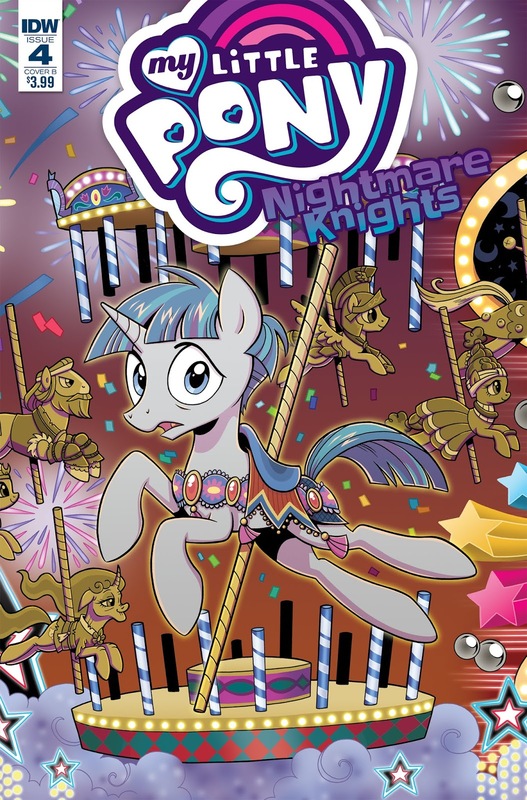 Here on this page you'll find an overview of all My Little Pony Nightmare Knights Issue νm; 4 Comic Covers, with a total of 3 releases. 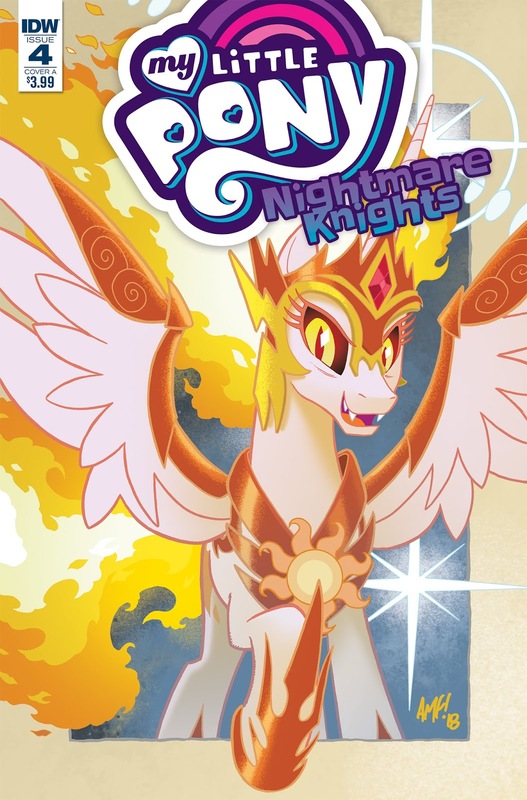 You can click on the Nightmare Knights Issue νm; 4 Comic Covers images to zoom in or click on any of the links under the images to see more releases of that type. 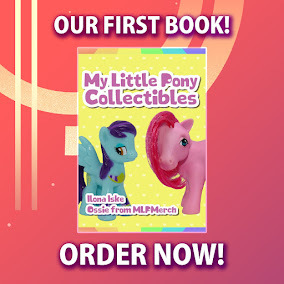 Summary: The best-laid plans of ponies often go awry—and as the heist begins to fall apart, Luna’s knights are put to the ultimate test. 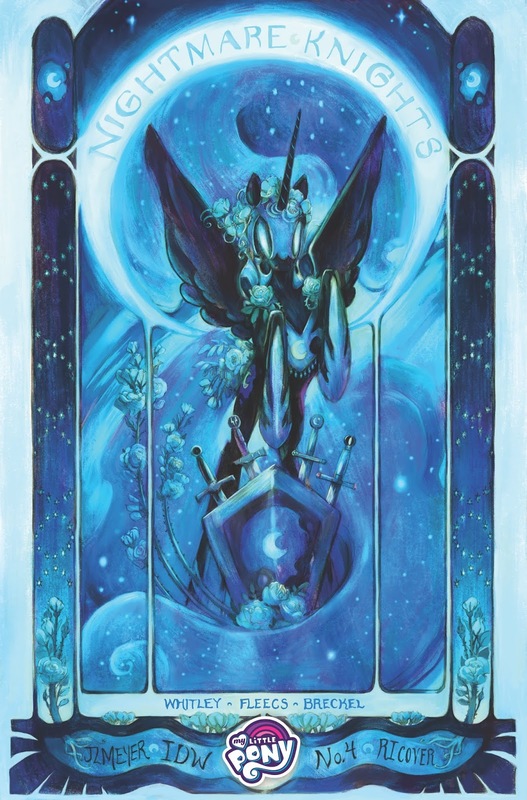 With teammates turning and new revelations coming to light, will the Nightmare Knights ever be able to defeat Eris and return Luna’s powers?